Here you can see the Gen 3 BFS ready for install in Will’s Daniel Defense DDM4 V11 lower. 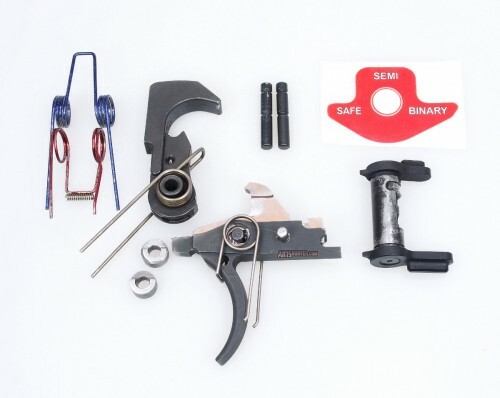 The new trigger is being released today on Independence day (2016), and can be ordered directly from Franklin Armory by clicking here. They noted that shipping is scheduled to start in early August; so no long wait times here! As soon as we have more details, we’ll be sure to share them. Until then, see YouTube video below where we got the opportunity to test a pre-production Gen 3 BFS for a few days, prior to its official release. 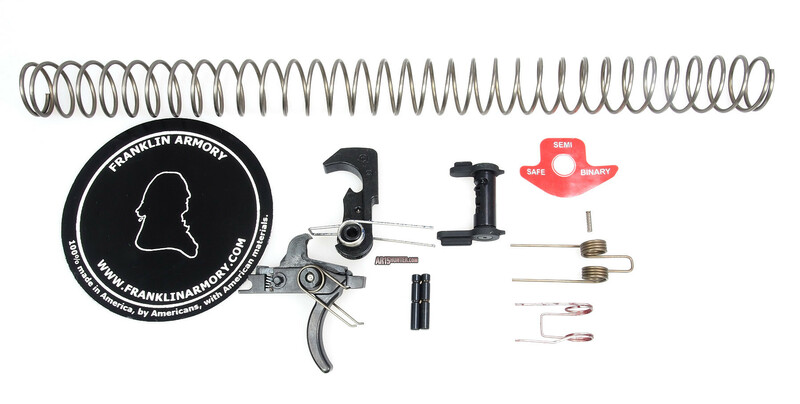 We’ve received our full production BFSiii trigger system from Franklin Armory. Below is a photo of what all was included in the retail package of our Gen3 BFS. 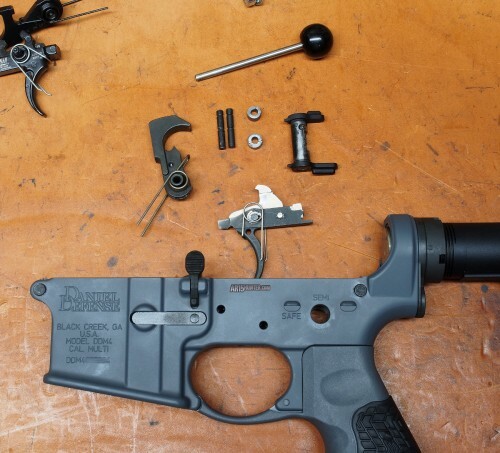 For those wondering how hard it is to install the Gen 3 into your lower, below is our installation and function test video where Will installs the BFSiii into his Daniel Defense DDM4v11 rifle.